Approved by the Executive Board, April 2009, Tab 2. The American Association of Law Libraries (AALL) is committed to preventing reprisals against employees and members who report activity undertaken by AALL employees and/or members in connection with: (i) the performance of official AALL activity that may be in violation of any state or federal law or related regulations; or (ii) questionable corporate accounting practices, internal controls, or audit ((i) and (ii) collectively referred to as “Protected Disclosure”). Directly or indirectly use or attempt to use the official authority or influence of their position for the purpose of interfering with the right of an employee or member to make a Protected Disclosure to the AALL’s leadership. The AALL has an open door policy and suggests that employees and members share their questions, concerns, suggestions or complaints with someone who can address them properly. In most cases, that person would be the Executive Director. 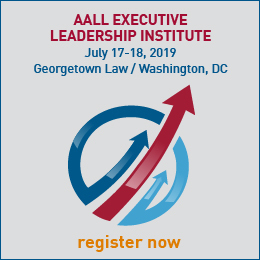 The Executive Director is required to report suspected violations to the AALL’s Compliance Officer, who has the responsibility to investigate all reported suspected violations in accordance with this policy. However, individuals (employees and members) should always feel free to contact the AALL’s Compliance Officer directly, if they so choose. Suspected violations concerning the Executive Director must be reported to the AALL’s Compliance Officer. 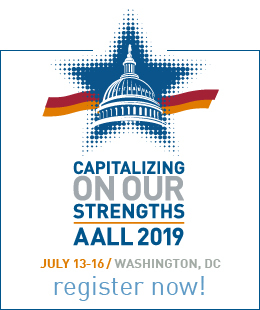 Suspected violations concerning the AALL’s Compliance Officer must be reported to the Executive Director and/or the Executive Board. The AALL’s Compliance Officer is the Chair of the AALL’s Executive Board Finance & Budget Committee. The Compliance Officer is responsible for investigating and resolving all reported complaints and allegations concerning Protected Disclosures and, depending on the nature of the complaint (as set forth below), shall advise the Executive Director, Executive Board, and/or the Finance & Budget Committee. The Compliance Officer shall immediately notify the Finance & Budget Committee of all reported concerns or complaints concerning Protected Disclosures regarding financial wrongdoing, corporate accounting practices, internal controls, or auditing. The Compliance Officer shall refer all other issues to the Executive Director or the Executive Board, as the Compliance Officer determines to be appropriate. The Finance & Budget Committee is responsible for addressing all reported concerns or complaints regarding financial wrongdoing, corporate accounting practices, internal controls, or auditing. The Compliance Officer shall work with the Finance & Budget Committee until such matters are resolved. Protected Disclosures may be submitted on a confidential basis by the complainant or may be submitted anonymously. Reports of violations or suspected violations will be kept confidential to the extent possible, consistent with the need to conduct an adequate investigation. The Compliance Officer will promptly notify the sender and acknowledge receipt of a Protected Disclosure (unless such report was submitted anonymously). All reports will be investigated promptly and appropriate corrective action will be taken (if warranted by the investigation). Reports and copies of Protected Disclosures will be retained by the AALL in accordance with its record retention policy.